Hotel Divyansh is luxury resort snuggled cozily in the foothills. 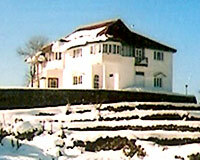 The hotel offers astonishing views of Kangra valley from all the rooms. Besides, it caters to guests with all the plush comforts and amenities. Amidst all the facilities, Hotel Divyansh makes a perfect accommodation for travelers on budget. The hotel offers spacious and well-appointed Guest Rooms. Hotel Divyansh has one multi-cuisine restaurant that serves lip-smacking delicacies.